Stochastic point processes are widely used in computational neuroscience to model the spiking of single neurons and neuronal populations. The choice of a particular point process is critical for statistical measures of neural activity and has impact on the subthreshold dynamics of neuron models. 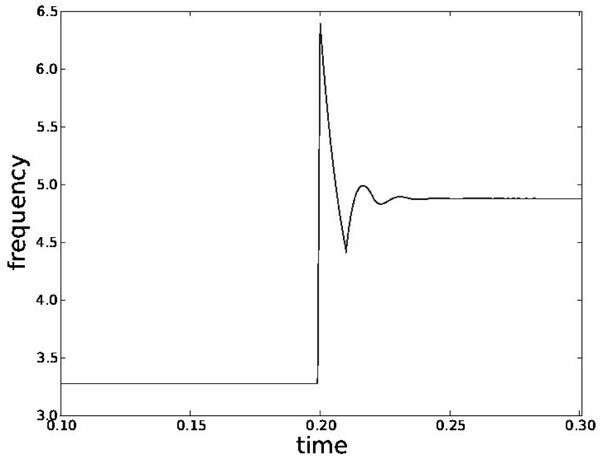 Here we show that the Poisson process with dead time, a particular simple point process, captures important features of the spiking statistics of neurons [1, 2] (Fig. 1). On the level of single neurons, we apply a step change to the rate of a Poisson process with dead time, keeping the dead time constant. The expected PSTH is computed by numerically solving the partial differential equation of the corresponding non-homogeneous renewal process  and we also give an analytical approximation. We observe a very sharp transient in the firing-rate (Fig. 2) that resembles experimental results of . On the level of neuronal populations, we employ the superposition of many Poisson processes with dead time as a model of the population activity in a network. We compute the explicit form of the inter-spike-interval (ISI) distribution and the coefficient of variation for superimposed processes and compare them to direct simulations. 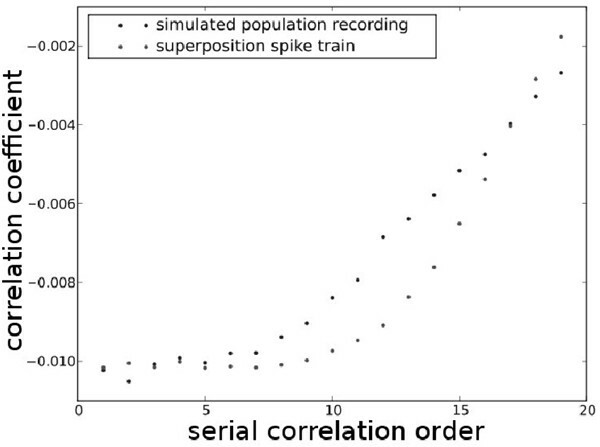 The ISIs of the superimposed spike trains show negative serial correlations that correspond to those we observe in population recordings of simulated integrate-and-fire neurons (Fig 3). 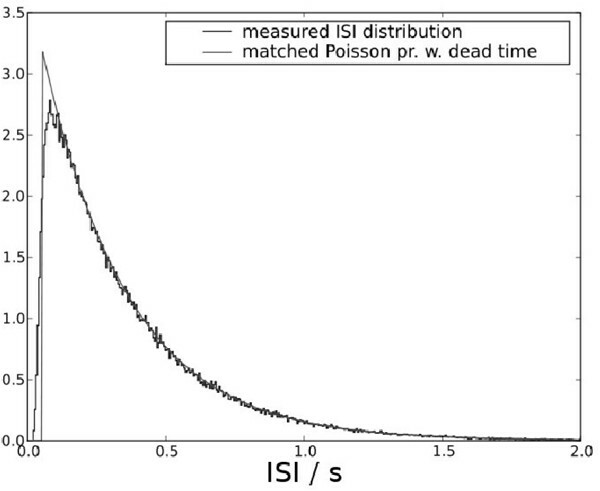 For the single Poisson process with dead time and superpositions alike, we can determine the variance of shot noise driven by them with the associated spike count in a certain time window or the free membrane potential of an IF neuron. This enables us to show how empirical approximations of the Fano factor depend on the width of the counting window, and how the statistical properties of the driving point-process influence the variance of the subthreshold dynamics of neurons. Partially funded by DIP F1.2 and BMBF Grant 01GQ0420 to the Bernstein Center for Computational Neuroscience Freiburg.